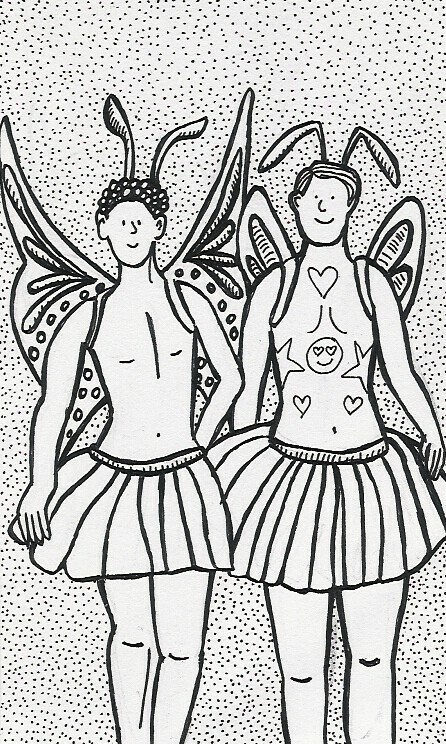 Mondaydoodle -byootiful butterflies – iris elsewhere. Are they tattoos on the fellow on the right? I have a crescent moon tattoo on my person.